Iran is a young country, with more than 28 million inhabitants under the age of 18 in 2011. However, the vast potential of this young, bright population is largely being squandered as a result of poor education policies, discriminatory legislation and insufficient child protections. Iran’s young people face a myriad of major challenges to their development, and it is essential that government and civil society work more closely together to develop long-term solutions. Over the course of this report, we will engage with three primary clusters of rights taken from the core reporting clusters of the UN Convention on the Rights of the Child. These core reporting clusters include the right of children to be protected from violence, the right to education, and the right to health. Through an exploration of these three clusters, we hope to illustrate a number of the key obstacles to the happiness and full development of Iran’s young people. 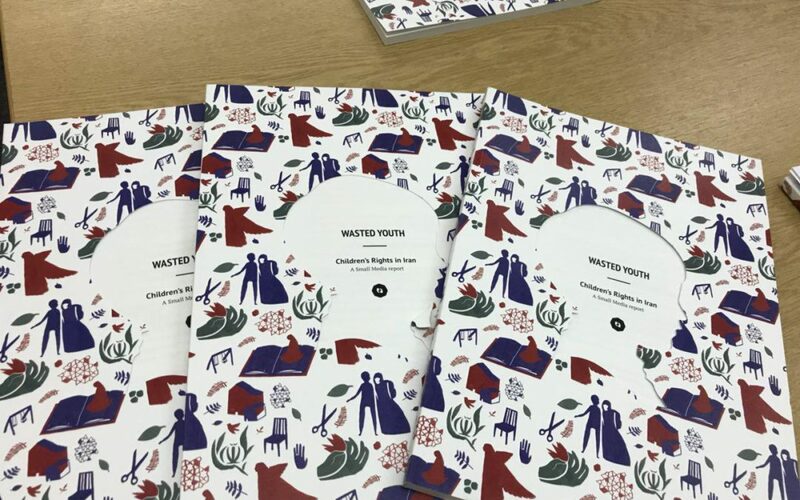 This report will provide an overview of the current landscape around children’s rights in Iran and the challenges facing activists, advocates and children’s rights organisations as they work to improve the situation of young people in the country today. It will achieve this through an analysis of the internationally recognised legal frameworks that guarantee the rights of minors, the national legislation that exists to support these objectives, and a brief overview of a number of areas in which Iran is in violation of internationally recognised norms. At the same time as underaged labour deprives children of bright futures, the scourge of child marriage locks many young girls and boys into a troubled present, vulnerable to violence, sexual abuse, and poor health. Additional threats to young girls’ reproductive health arise from the persistence of the practice of female genital mutilation (FGM) among a number of marginal communities, constituting a terrible violation of young girls’ human rights, and a real danger to their lives. In the face of all these challenges, however, civil society is mobilising itself. Groups are being set up in urban and rural communities to provide schoolbooks and new facilities for economically deprived children. Other activists are developing campaigns about the negative impacts of child marriage and FGM, and are working with local community leaders to push back against these practices. But far more support is needed, both from Iranian authorities and the international community. By speaking with activists on the ground and assessing a number of the initiatives they have developed in digital spaces, we aim to help provide some direction for Iranian and international organisations as they develop capacity building initiatives to support the great work being done by civil society organisations in Iran. ‘Stop FGM in Iran’ is a campaign aiming to eradicate the practice of FGM in Iran by educating the public about its disastrous effects upon girls’ and women’s physical and mental health. The website is aimed at providing information to the general public, and showcasing the organisation’s work to potential donors and supporters. The website contains a variety of information about the practice of FGM, as well as information about the organisation’s events and seminars, stories from victims of FGM, and materials to draw public attention to the issue. The campaigners argue that more needs to be done in order to completely eradicate the practice of FGM in Iran, through raising public awareness about the negative health impacts and providing government officials with information about its prevalence and practice. Much of the organisation’s own awareness-raising work is achieved through conducting seminars in the four worst affected provinces, and through engaging in face-to-face discussions with local people. The group also carries out documentation work of instances of FGM, which is then integrated into the group’s advocacy and public awareness initiatives. action that could serve to mobilise its not inconsiderable following to engage in actions to support the campaign’s objectives. The campaign shares a Telegram channel with the Stop Early Marriage in Iran campaign. This channel shares website content from each of the two campaigns it features, alongside relevant news articles, images, and documentation.